Feeling the need to lose weight and get your life back on track? Maybe you want to tone up? My Name is Ger Conroy and I’m a personal trainer in Dublin the past 11 years. 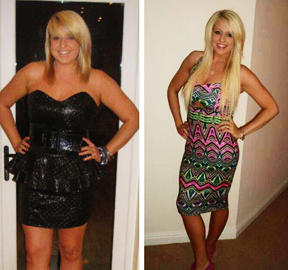 Over the years we have helped thousands of clients achieve their weight goals, build lean muscle and go onto better themselves and their lives. You have already taken the first step by visiting our website, now just contact us and we can give you a FREE PERSONAL CONSULTATION and we can design the right fitness plan to make sure you achieve those goals. We all know everyone has different levels. My one to one personal training is designed to meet your specific needs while also taking your fitness levels into consideration. Read more..
Ger Conroy Fitness Academy is a unique Training facility for students looking to become Ireland’s leading Personal Trainers, Strength & Conditioning coaches and Fitness instructors. Read more.. Injured? Suffering with Neck, Back, Leg, Arm pains that are holding you back? We now offer physiotherapy with Paddy Cummins a fully qualified physical therapist in Mulhuddart & Castleknock. Read more..
We’ve launched our Ger Conroy Fitness web app for all devices so you can now login and buy packages, memberships, book into classes and get in contact! Have a look at Emma Creighton’s testimonial. Emma joined the gym because she is getting married and wanted to get in shape. Now her wedding dress is 5 times too big for her! If you would like to book a free consultation simply get in touch. Check out Robbie Simpson’s amazing testimonial. Robbie joined the gym after been encouraged by his partner. 12 weeks later he was 4 stone down and more importantly keeping it off and continues to do great. Robbie also won transformation of the year 2016!